Second weekend in August, immerse yourself in the mountains for a weekend getaway on the McKenzie River outside of Eugene, Oregon. Stay 2 nights – choose from a playful wellness workshops (yoga, meditation, dance) and relaxing hikes. Detoxifying whole food is served daily. This is a fun adventurous experience to grow in your personal journey. Retreat will have about 8 phenomenal WOMEN ready to have FUN and LEARN in an inclusive environment. 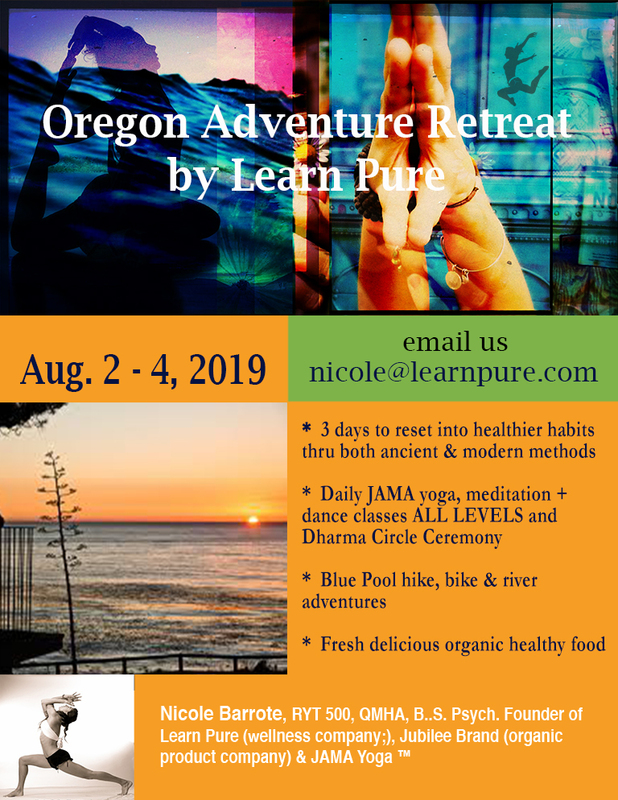 • Workshops (2 a day) – (Daily meditation class with visualization and breath techniques, Inversion class for all levels, Outdoor Yoga Boot Camp next to a creek, JAMA Yoga (movement meditation).